In 2006, Ruland Engineering & Consulting delivered a production plant at the North American subsidiary of ELOPAK in Detroit, USA. The plant is used for mixing, thermal treatment and for ready cold-aseptic sterile product which are used for validating the aseptic filler (sterile test.) It consists of a mix tank with an 8.000 l capacity, an UHT plant, a sterile tank with 14.000 l capacity and a CIP plant. 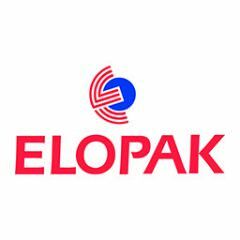 The ELOPAK group, with headquarters in Norway and branches worldwide, amongst others in Speyer, Paderborn and Mönchengladbach is one of the leading suppliers of packaging systems and aseptic filling systems for liquid and paste-like foodstuffs. At first, Ruland received a request for planning realization of the plant from the USA to Germany. In the scope of the discussion, the actual project became clear. In Mönchengladbach, a new fabrication facility for aseptic fillers was to be built on a green field. The concept planning for the building was already underway. In further talks with the customer, his architect and the planner for the buildings technical equipment, further project details came to light. In addition to the moving of the plant from the USA all peripheral systems as e.g. the plants complete energy supply were included in the project. In the two to three months after ordering a consulting project, regular meetings were held on site with all parties, were building specific parameters were defined, like floor design, waste water disposal, maximum load, size of the insertion openings, investigation of the energy demands, needs regarding waste water processing and so on. Ruland generated a plant layout and a complete flow diagram including all peripheral systems. 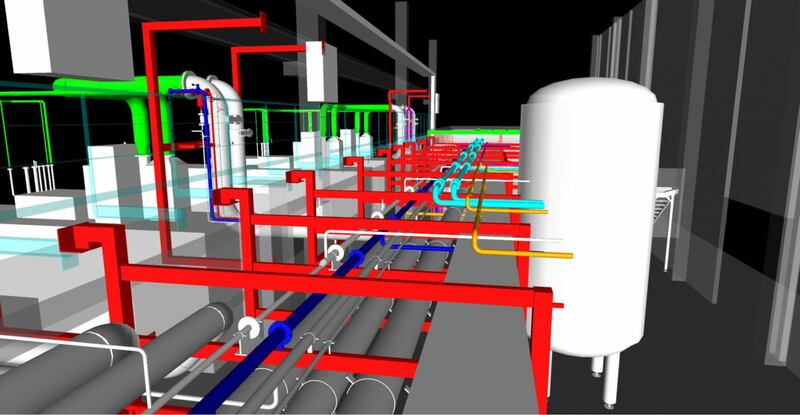 The design of the piping was displayed in modern 3D technology. In addition, a waste water concept and a concept for the high city water demands were worked out. And furthermore, the media- and energy connections for the filling machines were planned. pH-value monitoring, a dosing plant for chemicals as well as the connection to the sterile air unit. The existing process plants were also partially modified and all were serviced and calibrated by the Ruland service department. The production-related demands from ELOPAK made it necessary to implement the project on a very tight schedule. Because of excellent cooperation between all included parties, in spite of the harsh framework requirements, the plant was commissioned and handed over to ELOPAK on schedule. Would you like to know more about our process technology?